Disney is to launch a HD version of its premium movie channel Cinemagic next month. Cinemagic HD will be available through Sky+ HD to customers who take a Sky Movies subscription. Movies in the lineup for December include Ratatouille and Tinkerbell, followed by Sleeping Beauty and The Incredibles in the New Year. Films available during December and January will include Ratatouille, Tinkerbell, Sleeping Beauty and The Incredibles. Today is the 80th birthday of Mickey Mouse. 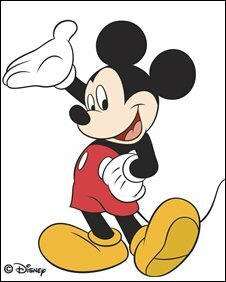 Mickey first appeared on cinema screens in 1928 in Steamboat Willie. BBC Radio 2 brings a galaxy of Broadway and West End stars to London for a unique concert event celebrating The Music of Disney. Staged in the Lyceum Theatre – the current home of ‘The Lion King’ – the 70-piece BBC Concert Orchestra conducted by Larry Blank, will back a stellar cast that includes the original Broadway stars of ‘The Lion King’, ‘Beauty and the Beast’; ‘The Hunchback of Notre Dame’; ‘Aida’ and ‘The Little Mermaid’ . Heather Headley, Ashley Brown, Drew Sarich, Adam Pascal and Tituss Burgess will be joined by West End stars Maria Friedman and London’s current ‘Zorro’, Matt Rawle, plus the current cast of The Lion King for a dazzling evening of musical magic. The concert willl feature classics from ‘Pinocchio’, ‘Mary Poppins’, ‘Fantasia’, ‘Jungle Book’ ‘Lady and the Tramp’; ‘Toy Story’, ‘The Hunchback of Notre Dame’, ‘Lion King’, ‘Aladdin’, ‘Cinderella’, ‘Snow White’, ‘Tarzan’, ‘Sleeping Beauty’, ‘Enchanted’ and ‘High School The Musical’ . Among the songs: ‘The Circle of Life’, ‘The Bare Necessities’; ‘Under the Sea’; A Whole New World; ‘Once Upon A Dream’ ‘You’ll Be In My Heart’, ‘He’s A Tramp; Beauty and the Beast; and of course ‘When You Wish Upon A Star’ …. For information on how to buy tickets please call Ticketmaster on 0844 412 1742.